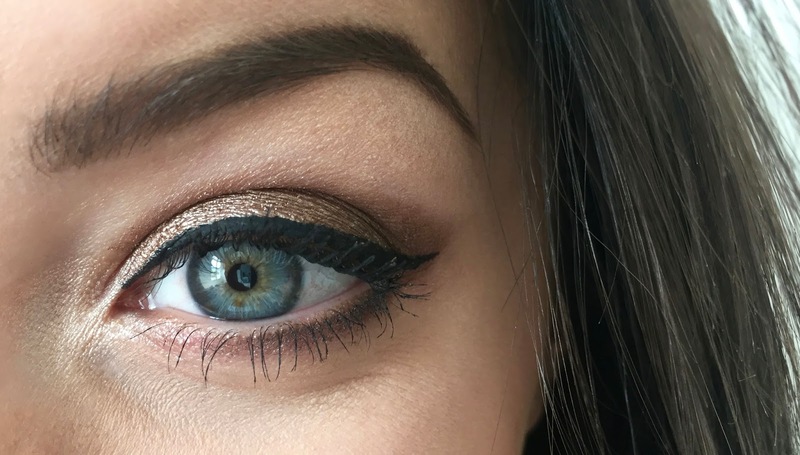 Heya everyone, here is my latest eye makeup look I have loved rocking. 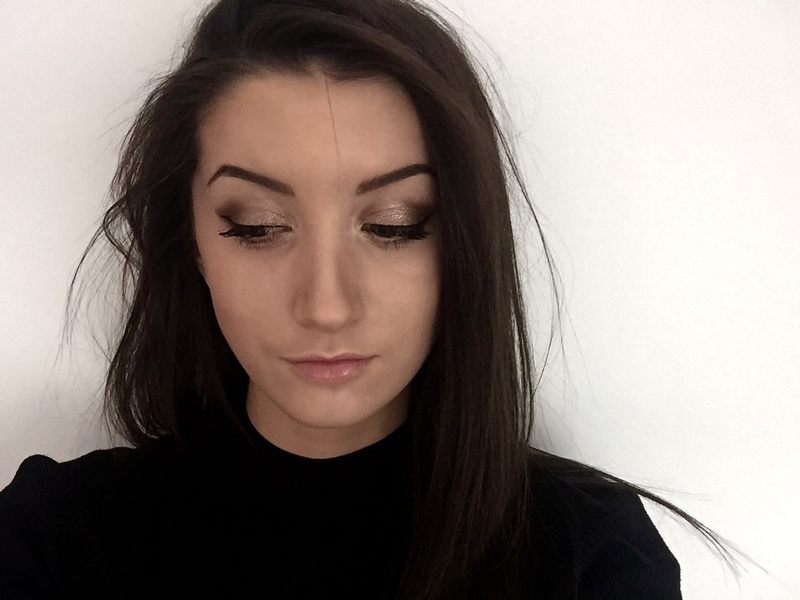 A golden, bronzed slightly smokey eye with a winged out feline eyeliner look. This look only took a few minutes and looks gorgeous for any occasion. 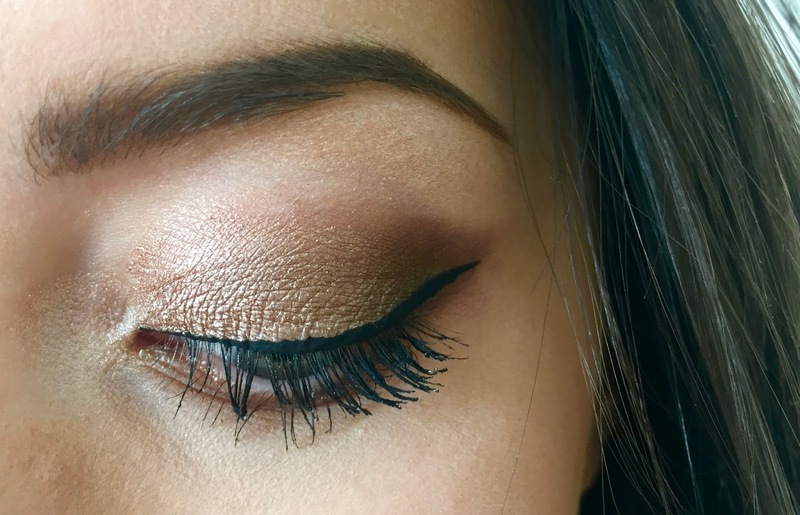 I've been wearing this look everywhere from events and nights out, to shopping trips and work days when I want to look a little nicer; with and without the eye liner it looks gorgeous. 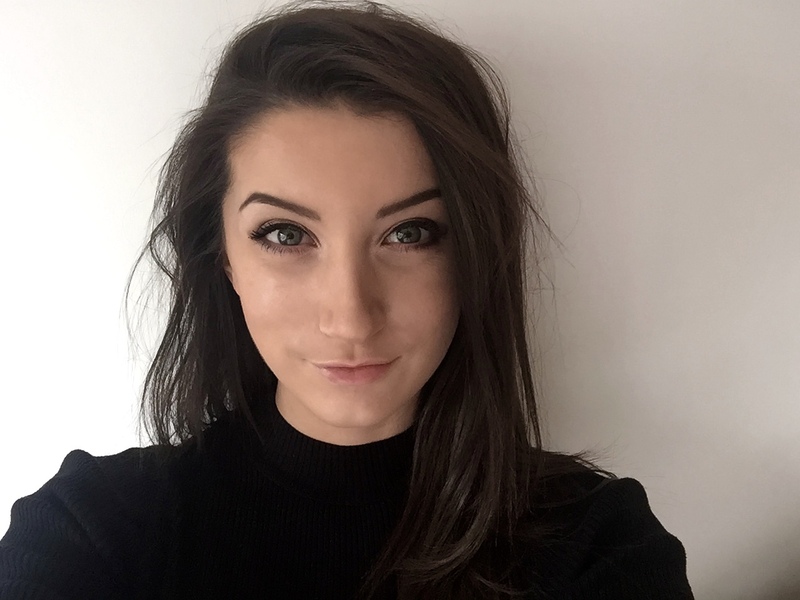 I tend to lean towards makeup looks that are especially quick to do, trying to make getting ready in the morning as speedy as possible (which a lot of the time it ends up not being!). I am usually pretty messy when it comes to my eye makeup, reason being I use my fingers for the most part, with eyeshadow brushes just for the outer corner, crease and blending. Using your fingers for the base colour has always given me the most colour pay off and made the eyeshadow look a lot more intense. I am just about recovered from an eye injection, so excuse the dryness around my eyes in the photos! For this look I first primed my eyes with Urban Decay's Primer Potion, then swiped Urban Decay's Naked Palette colour Side Car all over the lid. Going in after with Buck, working through the crease with a Real Techniques eyeshadow brush, and focusing on the outer corner. Then adding a mix of Hustle and Dark Horse from the same palette to the outer corner, to darken the eye. I went in with Loréal's super eyeliner to give me the winged eye look, followed by Rimmel's eyeliner to intensify the colour, as this is a lot blacker than Loréal's. For the lower lash line I used both Kiko's Crystal Eyeliner in 02 and a NYX Eyeliner in Gun Metal. To complete the look I mixed some of Sleeks Highlighter and the Naked Basics Palettes Highlighter in Venus on my brow bone and inner corner. To conclude I filled in my eyebrows with Kiko's Eyebrow Kit and bulked my lashes up with Benefits Roller Lash Mascara, making the look complete. beautiful! I love the shadow color! Beautiful Makeup! Love the Look! It's so gorgeous! You're right, this is a nice look for every occasion. It's not too much but still beautiful! Thank you! Definitely my go to at the moment! These are great tips to get this gorgeous look! Love it! 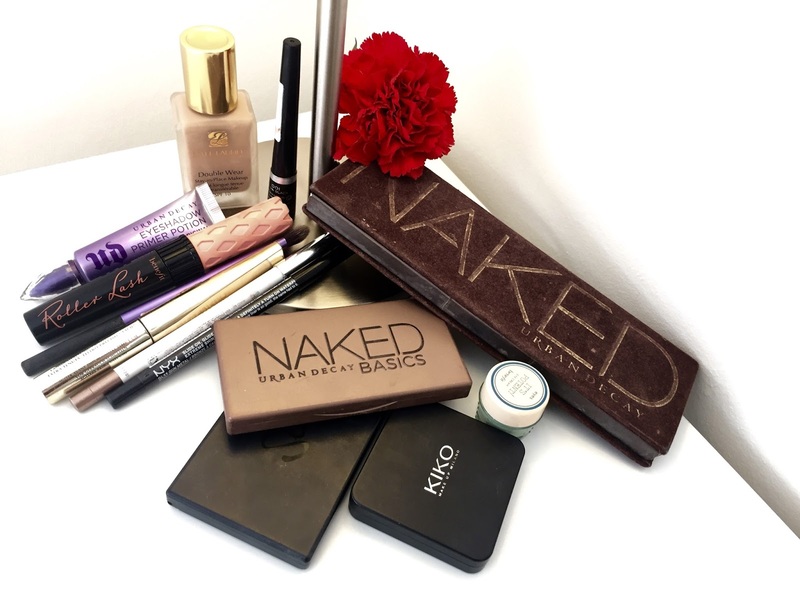 You make-up looks gorgeous ! This is absolutely gorgeous - love the look, perfect for everyday and evening too!! Stunning hun!